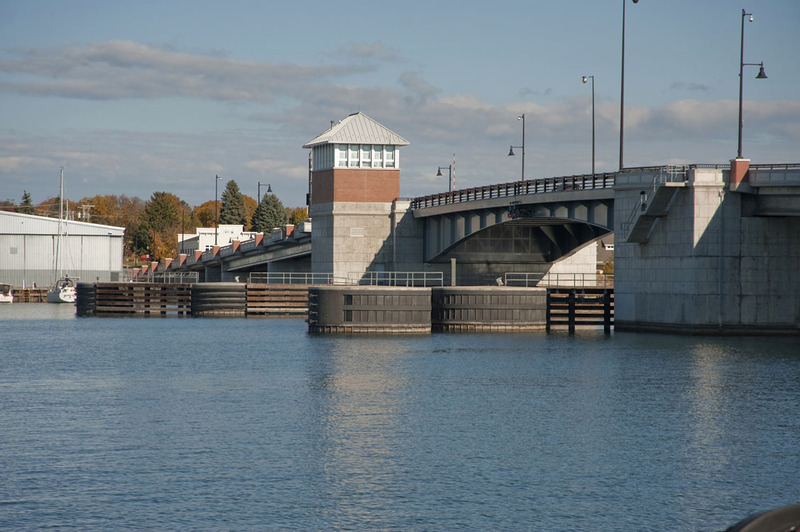 Situated in scenic Door County, the new Maple-Oregon Bascule Bridge provides modern design for this popular travel destination. 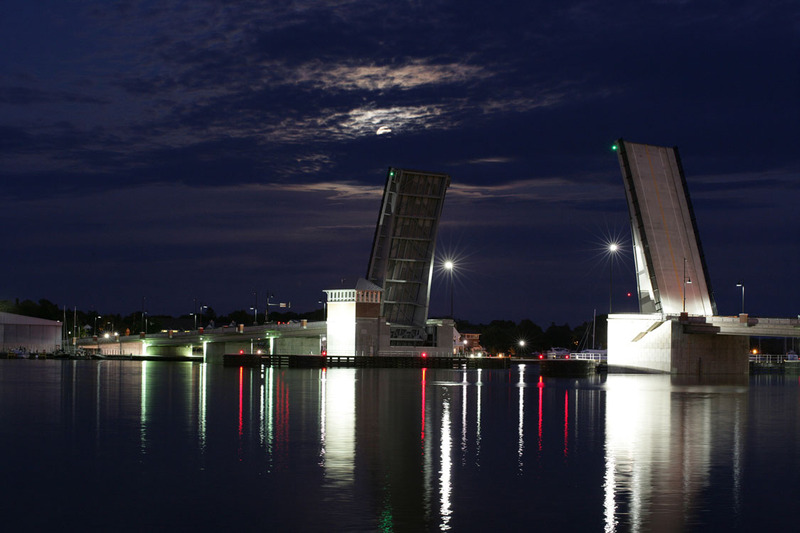 The new 1,057-foot long bridge features a 310-foot long double-leaf rolling lift bascule span over the Sturgeon Bay ship canal. 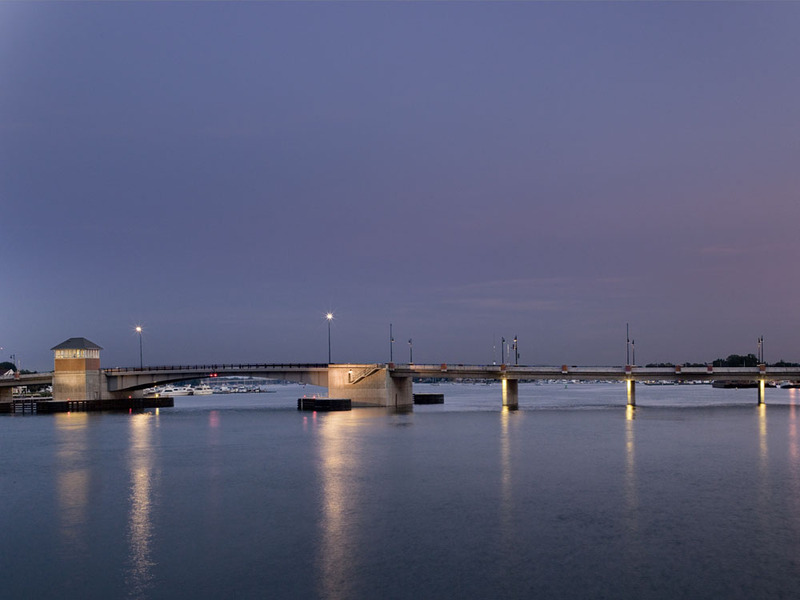 Aesthetic features such as pedestrian overlooks and architectural light fixtures on the superstructure enhance the bridge’s visual appeal for travelers by road and across the bay. Design for this important project met an aggressive 12-month schedule.